WOW! 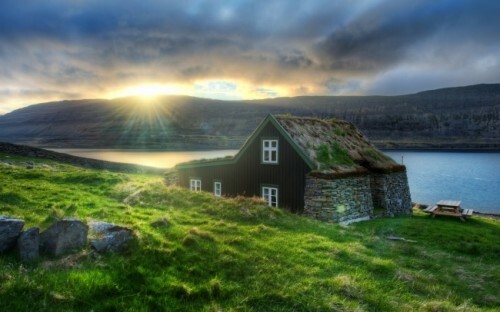 Super cheap flights to Iceland: from Switzerland for only €48! 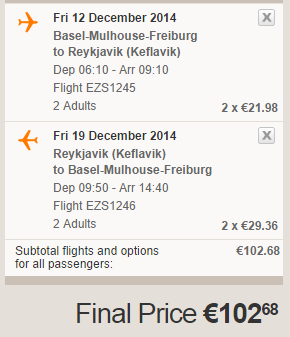 UPDATE 21.10.: many flights from Basel to Reykjavik still availably for only €53 in January! Example dates: 13.-23.1., 16.-23.1., 16.-30.1., 27.-30.1. Book here. Easyjet now offers super cheap flights to Iceland in Winter from Switzerland. Return flights from Basel to Reykjavik are available from only €48! This price is valid if you travel in group of 2 with cabin luggage up to 56 cm with unlimited weight. Easyjet has flights from Basel to many other cities in whole Europe. « Cheap flights to Bangladesh: Dhaka for just €433!